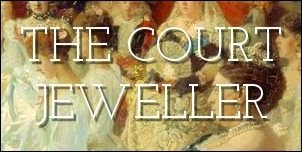 With so many of the royals on holiday this week, we're postponing our weekly jewel roundup until next Friday. In the meantime, let's have a look at the jewels worn by the Spanish royal family on Easter Sunday, shall we? Queen Letizia donned a familiar pair of small earrings -- her star-shaped diamond studs -- for the morning mass at the cathedral in Palma de Mallorca. While Letizia went minimal, her mother-in-law, Queen Sofia, piled on her usual Easter jewelry. She wore a gold brooch, plus several layered necklaces, including a familiar piece with golden designs, an evil eye pendant, and a long necklace made of Easter egg charms. She also wore a number of bracelets, rings, and a wristwatch. Tiny gold earrings winked from the Princess of Asturias's earlobes. Leonor's little sister, Infanta Sofia, hasn't yet pierced her ears, so no jewelry yet for the youngest member of the Spanish royal family. The king wore his wedding ring and posed proudly with his family. Looks like it was a happy Easter Sunday for the Borbons!